Wellness for the World: Why are your hormones crazy? Why are your hormones crazy? As you are most likely already aware of, hormone balance is a significant focus of Depke Wellness. We have reviewed over 4,500 adrenal test kits in our history and out of these 4,500 health challenged individuals, we have seen only 5 tests return with normal adrenal function. Yes I said ONLY 5! Recognize that this is about 1/10 of 1%. 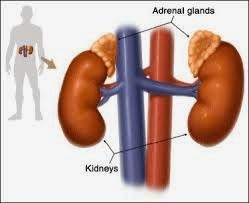 So in essence, if you have a health issue, you most likely have an adrenal issue. Now while we have assisted thousands in regaining their adrenal balance and reset their HPA axis there can at times be some "hiccups" with a small percentage of clients. Understand that about 90 to 95% of our client base responds very well to the adrenal protocols that are recommended at Depke Wellness, there is still about 5 to 10% that will have some challenges. Some clients simply feel as if their hormones are truly going crazy. So why is it that so many will progress with relative ease and others seem to struggle regardless of fact that they addressed their triggers for adrenal insufficiency, they follow their protocols to a tee and the even look at other chronic factors such as their gut health and chronic inflammation? The reason for this is very often tied into liver function. Understand that the liver is the body's primary detoxifier and keeping it healthy is critical to your overall health, which includes proper metabolism and function of your hormones. Are you having problems with your hormones? Do you engage in heavy alcohol or tobacco use? Do you have high exposure to chemicals such as herbicides or pesticides? Have you been diagnosed with a liver disease? While all of these functions are of utmost importance, I want to put our focus on the two at the bottom that are in italics and bold. The liver plays a major role in the body's use of hormones. This is for both the hormones that are produced naturally in our bodies as well as those hormones that are utilized in hormone protocols. 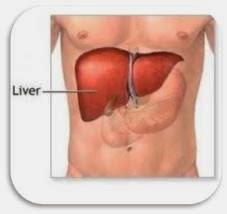 The liver can be viewed as a hormone processor because it will manufacture and/or regulating some hormone levels. In the end this will be directing various hormones to perform their proper function in other parts of the body. But when the liver is not converting hormones properly due to liver congestion, a fatty liver or more, this would likely cause a hormone imbalance. A major focus for most women is the liver's role in regulating estrogen hormones. This is a consideration for women undergoing their adrenal protocols. Of course if the liver is functioning normally this is not an issue, but if your hormones are going crazy, this needs to be assessed. Today there is new insight into how estrogens are metabolized and the effects of that metabolism. They found that estrogens break down into estrogen metabolites that have varying levels of estrogenic activity, and that the stronger the estrogenic effect, the greater the risk of developing estrogen related cancer. The liver metabolizes hormones and other substances using two primary phases known as the Phase I and Phase II pathways. During Phase I, some hormones or substances are metabolized directly, but often they are converted into intermediate forms, which are then further metabolized in Phase II. Cumulatively, these two phases of biological transformation are how the liver provides the body with nutrients and supports the excretion of excess or toxic substances in the urine, liver bile, perspiration and exhaled air. metabolic outcome. For example, the Phase I pathway is the main metabolic pathway for the estrogen hormones. In premenopausal women, the ovaries produce approximately 1/3 of the estrogen while the adrenal glands will produce most of the remaining 1/3. The primary estrogen hormone produced is estradiol, most of which the body converts to estrone, and eventually estriol. The liver then metabolizes the remaining estradiol and the converted estrone, breaking it down further, and excreting the excess from the body. This excretion occurs in via the colon based on proper bowel movements. Most now believe that the liver's ability to metabolize estrone is the key factor in estrogen related cancer risk. During Phase I metabolism estrone is converted into various metabolites including 2-hydroxyestrone, a very weak estrogen, and 16-alphahydroxyestrone, a very potent estrogen. If the conversion process favors the stronger form(s) rather than the weaker form(s), then tissue that has an abundance of estrogen receptors, such as the breasts and uterus, may be more vulnerable to excessive estrogen activity, potentially leading to the formation of fibroids or the stimulation of estrogen-sensitive cancers. Phase I processing can be affected by many factors, including extreme overload, the effects of alcohol or drugs, a lack of nutrients, or interference from other substances. For example, grapefruit juice can slow down the enzymes in Phase I, potentially altering hormone balance. Many prescription drugs are metabolized in Phase I, which can also interfere with the liver's ability to handle the estrogen hormones. On the other hand, Indole-3-carbinol (I3C), a phytonutrient derived from cruciferous vegetables (e.g., broccoli, cauliflower, cabbage and brussels sprouts), stimulates enzymes that promote the metabolism of estrogens into milder forms, potentially reducing the risk of estrogen-dependent cancers. Each reaction in the Phase I pathway produces an intermediate form called a free radical. As you have probably heard, free radicals can be very damaging to body tissues if they are not quickly neutralized by antioxidants. Nutrients such as vitamins C and E, minerals such as selenium, and other substances such as lipoic acid and glutathione are antioxidants that help protect against free radicals. The intermediate forms produced in Phase I are in a highly reactive state until they are fully converted in Phase II. During Phase II, a process known as conjugation begins, in which nutrients such as amino acids are combined with hormones and other substances, to convert them to water-soluble compounds that can be excreted efficiently in the urine or stool. This is one of the reasons you hear me talk about healthy bowel movements so much. If you are not enjoying two healthy bowel movements per day, you are likely reintroducing the excess hormones back into the blood thus creating an additional hormone imbalance. Methylation, also known as methyl metabolism, is the process in which small parts of molecules, called methyl groups, are passed from one molecule to another. Once estrogens are methylated, they can be easily excreted. In order for the liver to have an adequate supply of methyl groups available, an adequate intake of vitamins B6 (e.g., whole grains and legumes) and B12 (primarily from animal products), and folic acid (such as from green leafy vegetables) are necessary. An over-the-counter dietary supplement known as SAMe (s-adenylmethionine) is also a rich source of methyl groups and sulfur. For more information on methylation visit our recent article on this subject on this link. Sulfation is the process in which sulfur groups are added to estrogen or other molecules to prepare them for easy excretion. Adequate amounts of foods containing sulfur should be in the diet, including egg yolks, garlic, onions and brussels sprouts. Animal protein is another important source of sulfur. At Depke Wellness we will at times recommend a liquid ionized form of sulfur that is very easily assimilated by the body. Glucuronidation is another process by which estrogens can be conjugated. This type of conjugation may be affected by the condition of the intestines. If the intestines have an abundance of abnormal bacteria, an enzyme produced by these bacteria may cut off the conjugated part from the estrogen. The estrogen that would have been excreted is then reabsorbed back into the body, allowing even estrogens produced by the body to build up to excessive levels. The supplement calcium D glucarate (also found in fruits and vegetables) can render the enzyme inactive and prevent this buildup. Gluthathione conjugation is the process in which glutathione, another sulfur-containing molecule, is added to estrogen for easy excretion. Foods such as avocado, walnuts and asparagus are rich in glutathione, and vitamin C stimulates the body to produce more of it. Glutathione depletion can be due to a lack of the essential nutrients and amino acids (found in fresh fruits, vegetables, fish and meats) that are needed to synthesize it. Glutathione deserves special mention as a crucial detoxifier because it also behaves as an antioxidant in Phase I. Glutathione neutralizes the free radicals produced in the Phase I reactions, and combines with them to produce water-soluble compounds that can be excreted. Smoking is also known to deplete glutathione levels, as do chronically stressful conditions such as infections or inflammatory disorders. As we assist our clients at Depke Wellness, we will often recommend either a herbal tincture of Hepatica to assist in drainage of the liver, gall bladder and colon and/or A/C Glutathione to assist with detoxification along with a powerful antioxidant activity. For those with deeper liver detoxification factors we would most often recommend deeper liver detoxification and drainage therapies for a minimum of 30 days. For further information on this subject I would suggest an article from Connections be visiting this link. This was a helpful source for research on today's article. Also watch your Depke Wellness newsletter for an upcoming webinar presented by Glen Depke, Traditional Naturopath for Hawthorn University on Tuesday October 7,2014. If you have any comments or questions in regard to this article, please leave a post below for us to address personally. Who has a brain disorder?